With e cigarettes having gathered popularity at a great pace over the last few years, it’s taken a while for establishments to figure out where they stand on vaping and you may well be left wondering where can you vape. Very few establishments have openly embraced them and most will expect you hang out with the smokers. However, we thought we’d do some research to find out the facts. We’ve compiled the following information on vaping rules in various venues and public transport to help you find out where you can and can’t vape in the UK. As far as we could find out, vaping is banned on all UK trains. You can also pretty safely assume that you’ll be reprimanded if you try to vape on station platforms. As with regular cigarettes, using electronic cigarettes is banned on flights and can also set off alarms in the toilets, so don’t be tempted to have a sneaky vape. We have a whole page dedicated to travelling with e cigarettes and e cig laws in different countries if you’d like more information on taking your e cig abroad. 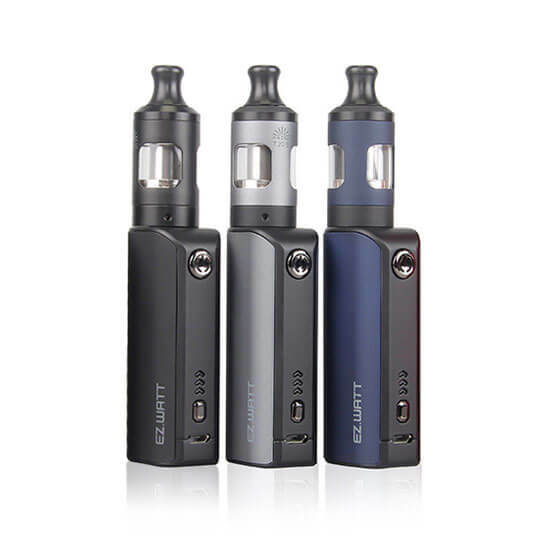 If you are heading abroad somewhere where it’s legal to vape, the OK Cigalike E Cig or Vaptio C-Flat Pod Mod are both great little kits to take travelling. Policies on vaping on board buses and coaches can vary from company to company, so it is best to check with the operator before you start vaping. London buses have banned vaping onboard, as have National Express, where if you’re caught, you’ll be booted off board without a refund. Whether or not sports stadiums have banned vaping depends greatly from club to club. Larger stadiums such as Stamford Bridge and Old Trafford have enforced strict bans, whilst you may find that smaller clubs have more relaxed rules. As the rules change so frequently it’s impossible for us to list which sports stadiums you can and can’t vape at so we would always recommend checking the stadium rules before you vape. Shop our wide range of quality e-liquids from just £2 each with FREE UK delivery. Most of the large music venues (some of which are also sports stadiums) will not allow vaping. The NEC in Birmingham for example does not permit vaping inside their buildings, although they do allow it twice a year when the fantastic Vaper Expo UK is held there. Smaller music venues may tend to have a more relaxed attitude to vaping so there’s no harm in asking the venue owner or a member of staff if you can use your e cig inside. Depending on where in the UK you are, the policy on vaping in hospitals can vary enormously. Hospitals in Scotland, for instance, have banned e-cigarettes across hospital grounds, not just in the hospitals themselves, with the exception of the NHS Lothian Trust. Find out more here. Though strictly speaking, there is no blanket ban on vaping in England and Wales, many hospitals do enforce a vaping ban. Currently, unlike with smoking, there is no blanket ban on vaping in pubs and restaurants. Some pubs may let you use your e cigarette but i’s always best to check first. We know that the majority of chain restaurants and cafes such as KFC, Starbucks and Caffe Nero have banned vaping across all their branches. The general consensus is that you can only vape in designated smoking areas. A lot of cruise companies have banned smoking on cabin balconies and it is likely that vaping may also be prohibited, so check with your cruise provider before you do. With regards to using them in your cabins, the same would apply as with hotels so it’s probably best not to vape when inside. Vaping laws vary drastically abroad and many countries are yet to have specific laws in place, so they often change. Head to the following pages to find out more about travelling with e cigarettes.